Recently, Tavan Media was a sponsor in a wonderful event that benefited the Ronald McDonald House. Our company provided the sound, lighting and video aspects of the event, and provided a unique experience for everyone in attendance! 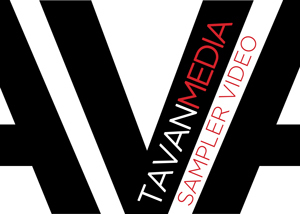 At Tavan Media, we know you’ve heard it all before. The promises, the achievements, the yada yada yada’s of other companies going on and on about how their work stands out above the rest. And just like the the pictures you see in restaurant menu’s, what you get delivered to you looks nothing like what was promised. We figure we’d save you the hassle and just show you, rather than say anything. What do you do with 3+ years of footage, filmed around the world on all sorts of devices from Canon DSLRs to iPhones? Have Tavan Media make a montage music video, of course! Check out the newest video from Iranian/American singer and songwriter, Amir London, edited by Tavan Media. The Rug Finder recently hired Tavan Media to help market an incredible upcoming event! The Rug Finder will be hosting a charity fundraiser at Hotel Valencia in Santana Row (San Jose, CA) on July 12th, 2012!. Tavan Media was given the task of producing the marketing material as well as creating this video that captures the fun and flare of previous events put together by The Rug Finder. We recently embarked on an ambitious project with DigitalOptics Corporation (www.doc.com) that took us to Charlotte, North Carolina and Arcadia, California. Armed with the task of presenting their product in a way it’s never been presented before, Tavan Media took on this project in full force. We often wore multiple hats to create the vision DOC had in mind with our own signature flavor. At the end, Tavan Media hired talented specifically for the video, shot stock footage, wrote the script, recorded the voiceover and put together all of those resources to create a captivating presentation that highlighted the essence of DigitalOptics Corporation.